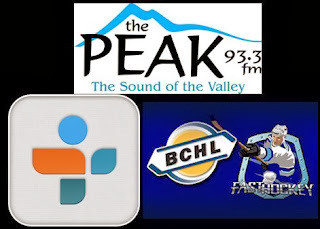 The Okanagan-roadie continues tonight as the Bulldogs ( 13-22-2-5, 5th Island) head to Vernon to meet the 2014 RBC Cup host Vipers (22-14-3-4, 3rd Interior) for the second and final Regular Season meeting between the teams after the Vipers picked up a 7-4 win in a wild and crazy game at the Dog Pound on October 20th. A little refresher - the Vipers led 5-2 after 40 minutes and seemed to have the game well in hand until the Bulldogs scored twice in a 16 second span with 10 minutes to go to make it a one goal game. That's as close as they would get though, as the Vipers hit the empty net twice in the final 30 seconds for the 7-4 Final. The Vipers have had a busy week already, playing in Merritt on Tuesday where they lost 4-1 to the Centennials. Last night they were in West Kelowna, where they lost their second in a row, 5-3 to the Warriors. As much as the Bulldogs are fighting for their Playoff lives, the Vipers are too. One wouldn't expect them to fall out of the Playoff picture, but one good team in the Interior is going to miss the dance as things are incredibly tight in the standings. A good weekend you could go from 5th and out of the Playoffs, to 2nd. A bad weekend can do just the opposite. Fun to watch, fun to be involved in. For the Bulldogs, it's another chance to catch the Capitals for the final Island Division Playoff spot, as they come into tonight just a point back while still holding a game in hand. It's the first game for Craig Martin against his old team, as he was serving the first of what would become an outrageous 8 game suspension the last time these teams met. Catch every second of the action on Bulldogs Hockey on 93.3 The Peak FM brought to you by Pacific Chevrolet tonight at 6:45 with the pregame show followed by the 7:00pm puck drop. Tonight's 2nd Intermission guest is Jon Zacks, Play-by-Play voice of the West Kelowna Warriors, who the Dogs visit tomorrow afternoon (2:30 puck drop) to finish their trip.